She’s a super hero just like me. She’s fast and strong just like me. She has diabetes just like me. Q has long role-played with her American Girl dolls. Her doll Sophia also has diabetes. Q pours over each catalog looking to see if they have a medical ID bracelet that we can order for Sophia. Not only did Q get her wish for an ID bracelet, but AG developed an entire Diabetes Care Kit! Q was beyond thrilled when the package arrived in the mail and she began unpacking it’s tiny contents. She quickly outfitted Sophia with a pump, slid the bracelet on her wrist, and checked her blood sugar. Q noticed the small details that make the items realistic and familiar. Stephanie Spanos, a spokesperson for American Girl said that “American Girl has a long-standing commitment to creating products that girls in various circumstances can identify with—from our Dolls Without Hair and Hearing Aids to our iconic Wheelchair that’s been in our line for nearly 20 years, to name just a few! 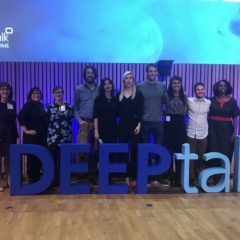 We’re very proud of our positive reputation for inclusiveness and we remain committed to exploring and expanding in this important area. The new Diabetes Care Kit and Arm Crutches are further evidence of our ongoing efforts in this area. 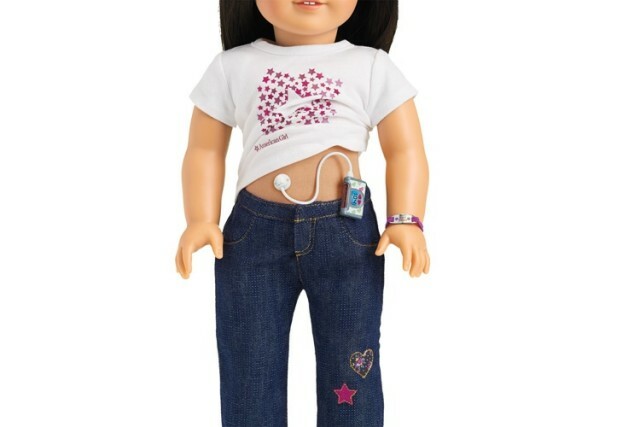 Did you know that not only did American Girl work with a panel of doctors, nurses, and dieticians from American Family Children’s Hospital on the Diabetes Care kit, but that it was designed by Matt Wahmhoff from AG’s Product Development Team who himself lives with type 1 diabetes? Matt was kind enough to indulge me in a Q&A. D-Mom: At what age were you diagnosed with diabetes? Tell me the story of your diagnosis. MW: I was diagnosed with Type I diabetes at age 11. Luckily for me, my mother was a nurse. She noticed that my appetite had increased significantly. She also noticed that I had been using the bathroom too frequently, especially in the middle of the night. She took me to my doctor and blood work was done, which revealed an extremely high blood sugar! I was told that I have diabetes. My mom took me out for lunch before heading to the hospital to be admitted. I knew next to nothing about diabetes. At lunch, I thought I could use this situation as an opportunity to get a milkshake with my meal, as a special treat! My mom explained that with diabetes, my diet has to change significantly, and because of that, I could not have that milkshake I so wanted. That was the point when I knew this was serious and my life would change. D-Mom: How do you manage your diabetes? MW: Currently, I manage my diabetes with fast-acting multiple insulin injections throughout the day, and then a long-acting insulin at night. For a variety of reasons, I haven’t made the leap to a pump just yet, but I do plan to in the future. D-Mom: Is the American Girl Diabetes Care Kit the first diabetes related item that you have had the opportunity to design? D-Mom: Have you worked on AG’s other inclusive toys such as the hearing aids, arm crutches, doll without hair? MW: I’ve had the opportunity to be involved in the development aspects of other toys, such as casts, crutches, as well as the Healthy Smiles set. The set includes the cutest orthodontic headgear, stick-on braces, a retainer, and an electronic tooth brush for your doll. D-Mom: Do you think that living with diabetes has given you the ability to relate to kids with different disabilities or medical conditions and gives you a unique perspective when designing accessories for AG dolls? MW: Definitely. For diabetes, I fully understand what it takes, on daily basis, to manage this condition. I can manage it in the back of my mind during much of the day, but it’s a constant monitoring of myself, and making decisions on what to do based on my learnings. It presents all kinds of daily, even hourly challenges and decisions that many people do not have to deal with. The funny thing with diabetes, is that we don’t really look any different. 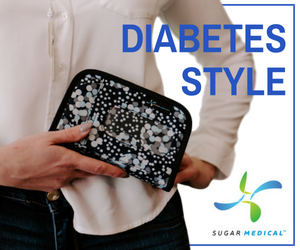 That makes it even more difficult for many non-diabetic people to understand what you are dealing with every day of your life. Everyone has challenges and everyone’s challenges are different. I always try to keep that in mind, and I think having diabetes allows me to better understand just how much disabilities and medical conditions, can impact and change a person’s life. D-Mom: How did your own diabetes inform the design of the Diabetes Care Kit and the items included? My daughter immediately noticed some of the little details that make the items relevant to her diabetes management including the spring-loaded lancing device, the insulin cartridge in the pump which she says looks like there’s actually insulin in it, and the log book which is very similar to ones she has used. MW: That makes me so happy to hear your daughter appreciated those little details. They were very important to me, as well! The spring-loaded feature in the lancet device was a function we needed to get right, because just touching the device to a doll’s finger would not have been realistic enough. Due to a variety of reasons, we are not always able to achieve every detail we want, but in this case, I feel like my history with diabetes allowed me to get the important details right. D-Mom: My daughter was diagnosed at three. Her AG doll that looks like her, which she named Sophia, was also diagnosed with diabetes. Sophia has accompanied her to endocrinology visits and uses some of my daughter’s supplies to manage her diabetes. It’s great that Sophia finally has her own Diabetes Care Kit specially designed for her. As a child, were there any toys available to you that were aimed at children with diabetes? Did any of your stuffed animals or action figures also have diabetes? MW: No, but in hindsight, it would’ve been cool if Luke Skywalker had been diagnosed with diabetes. An on-board glucose monitor in his lightsaber would’ve been over the top! D-Mom: Just a side note, you should have seen the sparkle in my daughter’s eyes as she opened the box. This kit is spot on! 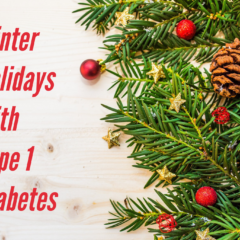 Thank you so much for designing a kit for kids living with diabetes…and for kids who might have a parent, sibling, friend, or classmate living with diabetes. Because type 1 diabetes can be isolating for school aged children, that American Girl recognizes them helps to normalize their medical condition and the kit will allow so many children the opportunity to role play through your toys. MW: This is what makes me happy. 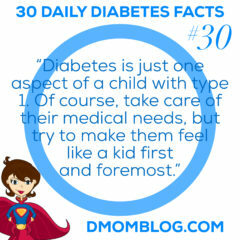 I know how hard it is to live with diabetes, and kids who are doing it are amazing! To be able to see photos of kids with the biggest smiles on their face, while holding their diabetic dolls is fantastic, and it’s the ultimate compliment. I am truly thankful to work for a company like American Girl, that has the ability to impact girl’s lives in so many different ways. To be able to have that kind of impact on so many kids with diabetes is amazing. Thank you, Matt, for taking the time to answer my questions and give us a little more insight into the development of the Diabetes Care Kit and your own life with diabetes. 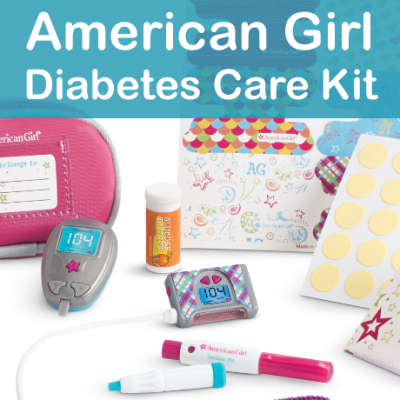 You can purchase the Diabetes Care Kit from American Girl online and in stores for $24. Look for another post from us including a video and photos of Q’s doll using the Diabetes Care Kit. Disclosure: American Girl provided us with a Diabetes Care Kit. Monetary compensation was not received for the review and opinions are my own. Please read my disclosure statement. All images provided by American Girl. Role Playing helps my daughter’s medical challenges seem more normal, and it’s a great tool to educate her or her friends about Diabetes. We also use Medical play to try to process the emotions that come with type 1 diabetes. Thanks for this excellent give-away! Every toy since her dx has had a pump, or has had to check blood sugar, etc. Playing helps her sort through emotions. Since life with T1D is her “normal,” her dolls and toys do what she does. I’ve learned a lot about how she feels by listening to her play. It’s very therapeutic. We’re so thrilled AG created this kit for out kids. Role playing is great for all kids to learn about new things. In our case, role playing a great tool to teach my daughters (non-T1) how to help care for their brother & encourage him when he’s feeling blue. It is also helps me teach my son (T1) how to care for himself. It’s a Godsend on those days when he feels alone, annoyed by, & tired of having T1. It can’t be easy to be 4 years old & the only child around him that has to deal with needles every day. Role play has helped my daughter who was diagnosed almost 6 months ago. The counselors immediately talked to us and began role play with her in the hospital. She immediately took to it by putting band aids on her baby doll each time she got one after a shot. By the time we left the hospital, the poor baby doll had a whole box of bandages on it. Role play helps kids sort through emotions and not bottle it up inside. It helps them feel more normal if their dolls go thru what they do. Everyone needs an outlet and for kids that don’t know what to do or so, having some form of control helps them from feeling helpless. My daughter was diagnosed with T1 a year and a half ago at age 9. Right at the hospital she was given a bear and it wasn’t long after we found a stuffed monkey that has an insulin pump for her. She sleeps with those every night and plays with them during the day. She has used them to show other little kid what it means to get a shot or do a blood sugar test. It has opened doors of communication for her through play with other children. I know it also brings her comfort to have a little ‘friend’ that is like her. Thank you for the giveaway! My daughter was diagnosed right after she turned 6 and the children’s hospital gave her a teddy bear named Rufus who also has diabetes. It’s been one and a half years since diagnosis and Rufus is her trusted friend. She regularly pretends to check his blood sugar and give him insulin. When she is upset she is quick to grab him and hold him tight. Rufus is a great therapeutic tool and because he was given to her from the beginning, in the hospital, she is quite attached to him. My granddaughter Lexi was diagnosed with type one diabetes at age two. She is now twelve years old. She also is also allergic to gluten products. She has been so courages and valiant in her fight with this disease. She just lost her cousin to type one diabetes last year. Lexi has worn a pump for five or six years and has at time been hyper sensitive to the bulky pump and what not. I feel this would be such a positive blessing for her. 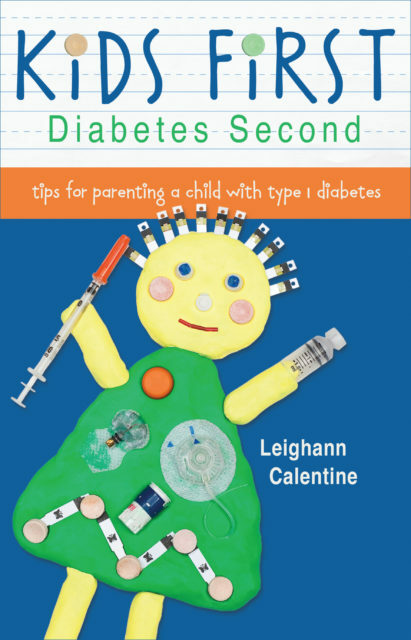 When my daughter was 4 years old she was diagnosed with Type 1 Diabetes. She immediately responded to the idea of performing various procedures on her dolls/stuffed animals using her diabetic supplies. I am certain that she would be thrilled to have an American Girl Mini Diabetes Care Kit to use. This kit would be a much more practical and safer way for her to care for her “Diabetic Patients”. It would also help ease the burden of when she is faced with the difficult day to day activities of managing her Diabetes. Thank you so much for creating such a considerate accessory! 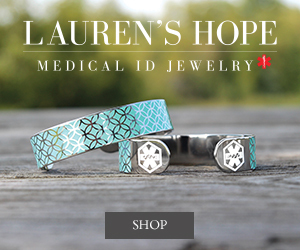 Oh this is so amazing for those that have diabetes in their lives! My niece would love this. Her dad…my brother was diagnosed when he was very little…and has the pump. Would be a great way for her to learn more about her dads diabetes with her doll. Role playing is an easy way for my daughter to show her friends what she goes through in daily life. I saw this at the AG store and loved it! I’m type 2, but it’s nice to see something like this. Role playing is a huge part of my Type 1 daughter’s life. She was diagnosed at 5 and she is now 10. She is so strong and deals with so much. When she enters her imagination world, all the walls come down. She can express her emotions through her play. Mia is never scared. Mia is never fed up with her diabetes. However, Mia’s AG dolls, Molly and Saige, get very frustrated. Sometimes they are very scared. I think it’s a healthy outlet for my brave, strong little girl. I work for Charleston County 911 EMS and this American Girl Doll would be a wonderful way to visually show patients what “Type I Diabetes Looks Like”. I usually end up having to expose my Omnipod insulin pump and Dexcom CGM to help better explain what it is. Also this is a great tool for children considering you are introducing a “New” concept with a toy they already know! I always assumed our daughter would love to have dolls and stuffed animals with type1 but this Christmas I realized that maybe she doesn’t http://inspiredbyisabella.com/just-like-her/). I think this kind of kit would allow her to show others that she’s not alone…if she chooses. This seem so helpful for kids dealing with T1D. Do they have something similar for boys? My daughter Josie was recently diagnosed 10/23/15. Josie is 5 now and of course loves her toys. She started telling me which of her toys had diabetes like her one day. I believe that this is very healthy for her as she is trying to relate her illness to others and give herself a normal place in the world. Josie has yet to meet children close to her age with diabetes but we hope to change that on Saturday as we attend the Central Oklahoma JDRF event. I hope that Josie can get one of these sets one day to place on her doll to help her understand that having T1D is perfectly ok.
Role playing is very important to my 5 year old. We just celebrated her 3 year diagnosis date. Since I am trying to get her comfortable with an idea of a pump, we have been practicing! So glad American girl decided to do this! All of her babies are diabetic but now she can truly have one that is! Roll-playing helps children to learn by actively practicing skills. I think it’s so great for kids to be able to play in order to learn! Im very excited about the AG diabetes kit. My daughter was diagnosed when she was 3 years old. 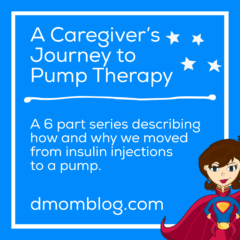 She got through her first insulin injections with use of a doll she had at the hospital. It showed her where she could give insulin shots. She likes to sleep with the doll and she even carried it with her for quite some time. Now as at an almost 8 year old, the American girl dolls are peaking her interest. She has a birthday in March and this doll is on her wish list. I feel she can role play wearing a pump. It will be our next step as well. I really would love to have the opportunity to give my daughter this gift. I love your blog. It truly inspires me. Thank you for the chance and my daughter would thank you too but she doesn’t know it yet. I think this kit is great for girls who want a doll that is just like them.